Add LED Lighting to Your Home! At Masterpiece Lighting in Atlanta, there’s nothing we love more than helping a customer find the perfect lighting for their home. As your local lighting store, we’re always doing whatever we can to stay up-to-date on the latest trends and technologies, and one technology that has definitely been trending upward for the past decade is light-emitting diode, or LED, lighting. We know that finding the right LED lighting can be confusing, and you might experience a little sticker shock at first when you see the price of an LED bulb. However, one of the chief benefits of LED lighting for indoor fixtures is that they last for a very long time. Whereas you were probably changing your old incandescent bulbs every few months, an LED bulb can last for upwards of 50,000 hours. There are less than 9,000 hours in a year, which means that your new LED bulbs could last longer than five years; plus, these bulbs won’t be on all the time. They’ll also use much less energy than your traditional incandescent or compact fluorescent light bulbs. LED bulbs are also made of solid materials, which means that there is no filament or bulb that can burn out or break. If you’ve ever had a light bulb break while still attached to a fixture, then you know how difficult it can be to remove the bulb remnants. With LED bulbs, once it goes out, you simply remove the bulb and replace it! If you have older outdoor light fixtures, then you know how colder temperatures can affect them. They take a while to turn on, and they don’t really glow brightly until they’ve been on for 30 minutes to an hour. With LED bulbs rated for outdoor use, you’ll have bright, adequate lighting as soon as you flip the switch or the timer clicks on for the evening. LED lights don’t need a “warm-up” period, and they can turn on in even sub-zero temperatures. While the greater Atlanta area doesn’t experience a lot of frigid days throughout the year, it is nice to know that your outdoor LED lighting will come on when you need it to. Another fantastic benefit of LED lighting is that it can be controlled with the same switches and dimmers that you already have in your home. New LED bulbs are designed to fit older fixtures, both indoors and out. Should you need new controls, we’ll be more than happy to help you find the right options. Our lighting experts can assist you in choosing new fixtures that work with LED bulbs, as well as the proper bulbs for each light. 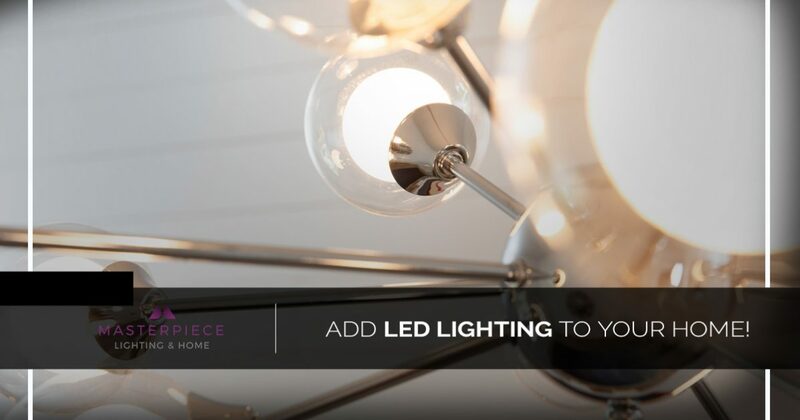 We understand how best to integrate LED technology into a home’s lighting design, and we know that you’ll love using your new lights for years to come. Visit one of our lighting store locations today to see how LED lights can improve your life. We look forward to seeing you soon!